Need your Calabasas roof replaced? Roof replacement is a major undertaking and a major expense. When you hire Roofing Services to replace your Calabasas roof, you can be assured that you will get top-rated roofing products, quality workmanship, and superior roofing expertise. Roofing Services is a California licensed and insured roofing company. All of our roofers are California certified to provide residential roof replacement in Calabasas. If your roof is showing signs of aging, is more than 15 years old, or has damage, call Los Angeles County's premier roofer for a free quote: (310) 504-3290. Top quality roof replacement in Calabasas, CA. Roofing Services has been in the roofing business for more than 20 years. Our experienced roofers know what it takes to provide quality roofing design, installation, and replacement for our Calabasas customers. Choose from an array of roofing products that includes asphalt shingles, cedar shingles, tile, and copper. All Roofing Services roofing products are backed by the manufacturer warranty. Roofing Services has provided top quality roof replacement in Calabasas since 1999. Call (310) 504-3290 for a free roof replacement estimate. 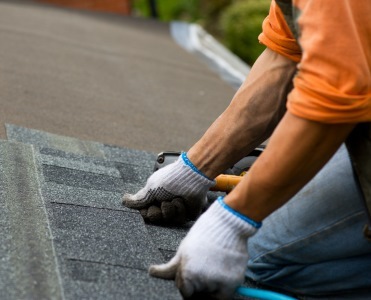 Roofing Services provides quality work every step of the way. We have more than 20 years of experience replacing roofs for Calabasas customers. Before we begin the roof replacement process, we check your home's entire roof surface for possible structural damage. If there is any structural damage, the Roofing Services roofing crew will reframe that section of your roof to meet local and CA building codes. Roofing Services roofers use quality plywood for the roof sheathing layer. Next, the weatherproofing layer is applied with exacting overlay to ensure proper rainwater runoff to your gutter system. All roofing materials are installed with precision to give your home a beautiful and lasting roof. Call (310) 504-3290 when it's time to replace your roof.